The women of three sororities sent a message of defiance to Harvard University president Drew Faust on Tuesday, saying they will ignore the school’s new sanctions against members of single-gender social clubs. The women said their groups are being unfairly punished for the transgressions of their male-only counterparts. The women of the Alpha Phi, Delta Gamma, and Kappa Alpha Theta sororities said they will continue to recruit new members and keep their clubs open to freshmen women in the years to come. “These sanctions unfairly force women to choose between the opportunity to have supportive, empowering female-only spaces and external leadership opportunities,” the statement said. The statement comes a week after Harvard announced it will keep in place a one-year-old policy that punishes students who join off-campus, single-gender social clubs, a category that includes sororities, fraternities, and the male-only final clubs, which have a reputation for exclusionary policies and party cultures that can lead to sexual assault. Over the past two years, the college has struggled to decide how to quell the clubs’ influence on undergraduate social culture. But female clubs have said repeatedly that they are unfairly lumped in. No parties or alcohol are allowed in sororities, according to the letter. The sororities rent space around Harvard Square in office building basements and storefronts, unlike many final clubs that own their own mansions. The women said their sororities, rather than fostering unhealthy behavior, help them safely combat not only sexual harassment but also alcohol abuse, mental health issues, and other challenges particular to college life. “We believe in a women’s right to create a supportive, aspirational community. We believe women should make their own choices,” the statement said. The college policy forbids students who join off-campus, single-gender groups from holding on-campus leadership positions including sports captainships and from being recommended for prestigious fellowships like the Rhodes and Marshall scholarships. “We do understand there are risks inherent in this action, but we provide powerful spaces of support and are determined to work together to demonstrate the value of sorority membership,” the statement said. The college, through a spokeswoman, declined to comment on the sororities’ position. Instead she pointed to a section of the letter that Faust sent last week that explained the new policy. The sorority members said there has always been a need for women-only groups at Harvard, a traditionally male-dominated institution that did not confer degrees to women until 1963. Before then, women received diplomas from Radcliffe College, its sister school. The founders of their sororities were ignored and excluded as far back as the early 1870s, according to the statement, and they founded the organizations in response to the hostile environment. “Over the next century and a half, we and our sister sororities have proven our worth time and time again. Still, today, on college campuses and well into the working world, women face unfair discrimination. There is value in seeing and engaging with our members and alumnae as change agents in all fields of endeavor, including mathematics, engineering, medicine, law, literature, and athletics,” the statement said. Last month 23 women, current undergraduates and others recently graduated, published a letter on the blog of Harvard professor Harry Lewis criticizing the school for unfairly penalizing women. “It is astonishingly paternalistic for Harvard to threaten the support groups of hundreds of women in the name of ridding the university of elite men’s clubs,” she said. The letter also criticized others at Harvard for not doing more to stick up for the women’s clubs. 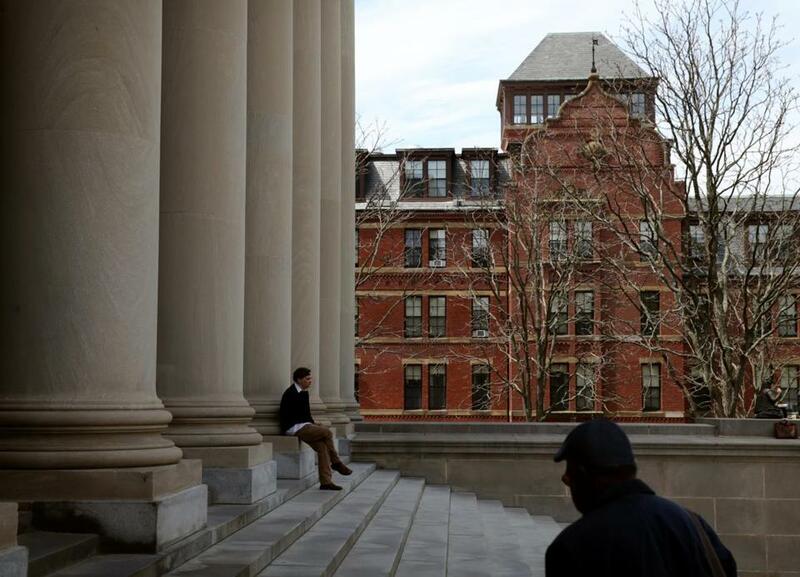 “The consistent refrain of ‘it’s a shame’ that Harvard must eliminate women’s groups through sanctions or to otherwise deal with the behaviors of men is outrageous and unconscionable,” the letter said.